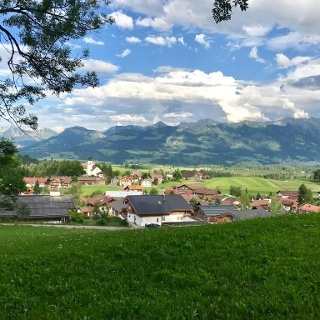 Uphill-downhill, this round leads partly along the Iller River and offers many beautiful viewpoints. 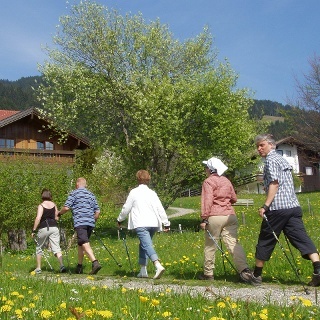 This varied Nordic walking tour leads from the Oberzollbrücke near Ofterschwang passt the Sonthofer Lake to the Iller River. 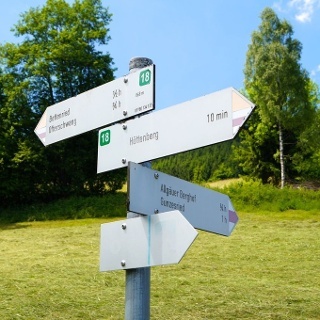 Follow this road for a short distance in the direction of Oberstdorf until Sigishofen. From here you go uphill with the forest path crossing the Wittelsbacher Höhe and on the other side downhill to Westerhofen and back to the starting point. 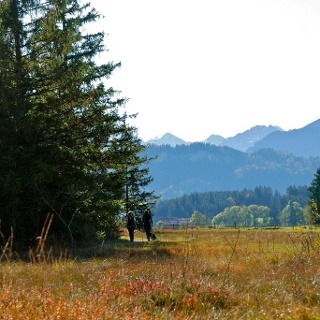 From the parking area at the Oberzollbrücke, the path leads along the shore path past the Sonthofer Lake and along the Iller River towards Oberstdorf to Sigishofen. Follow the road to Sigishofen and take the second street on the left and then turn right to the fire station. At the fire station, you go stright uphill through a magnificent forest area. 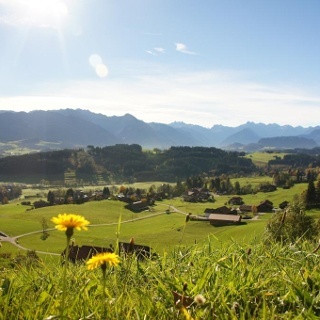 From the glades there are always beautiful views of the "guardian of the Allgäu": the Grünten Mountain. 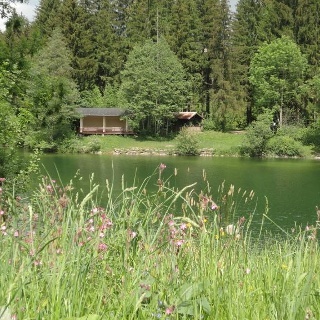 Over wonderful forest trails, you descend to Westerhofen and from there back to the starting point "Oberzollbrücke". The access to Ofterschwang is via the B19, until exit OA5 to Ofterschwang near Sonthofen. Drive through Sigishofen and in Westerhofen turn right to the "Oberzollbrücke". In the Tourist Information Ofterschwang you can buy a small map of the Nordic Walking and theme trails of the Hörnerdörfer.